Outdoor decks looking out over a Kauri Plantation with bird life galore make for a relaxing time. Shops and Resturants are only a short drive away. 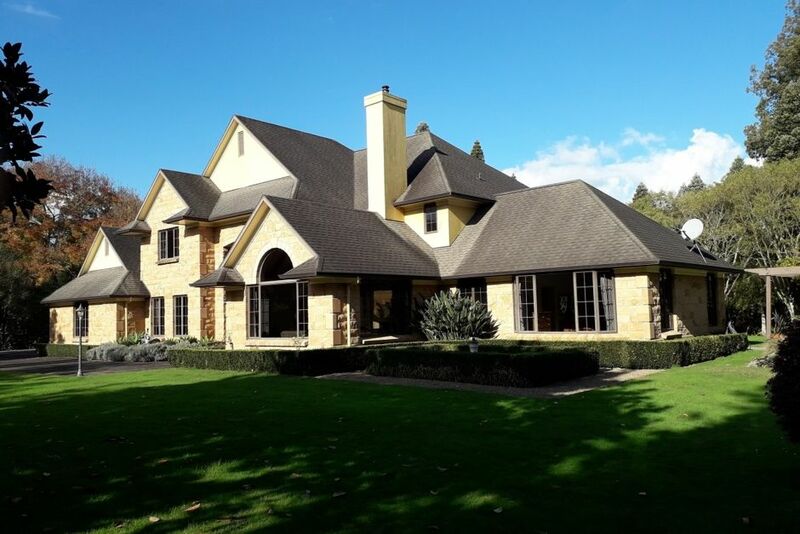 It would ideally suit a Professional Group or family wanting to live and explore all the Waikato Region has to offer. Great house with plenty of room. Owners are very welcoming and easy to deal. I would definitely stay here again. -Booking for colleagues working in Hamilton for the weekend: great location, beautiful house, lovely and helpful property manager. Would highly recommend this property to others. Rose, thankyou and pleased your guests enjoyed their stay at Cedar Park. Would highly recommend and you'd be most welcome to stay again. Could not have been more happy with the house. Very pleased to hear you enjoyed your stay . Everything you could ask for!! This property is absolutely stunning, from the house and outside area this place has it all. The property is nestled in a quiet Waikato area not far from Hamilton Centre, it boasts numerous bedrooms and separate bathrooms and it makes you feel right at home. The owner is very helpful and I would recommend this property to anyone, highly recommended for either a night or however long you want to stay, it's worth every dollar. I am so pleased you all enjoyed your stay and should you ever wish to stay again I'd be most happy to accommodate you and your friends. Thank you for your review and I hope you had a very enjoyable honeymoon . we stayed here for 10 days - absolutely loved it! - warm spacious and beautiful home. Thankyou Hamani, you and your colleagues would be most welcome to stay any time you are down in Cambridge again.